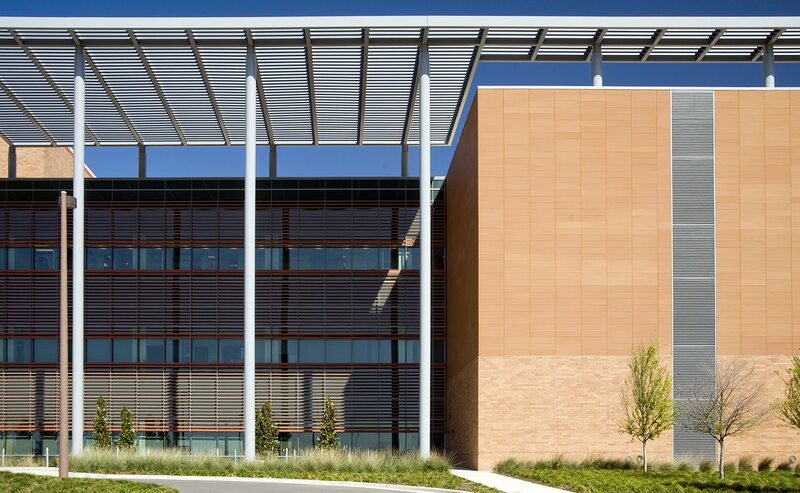 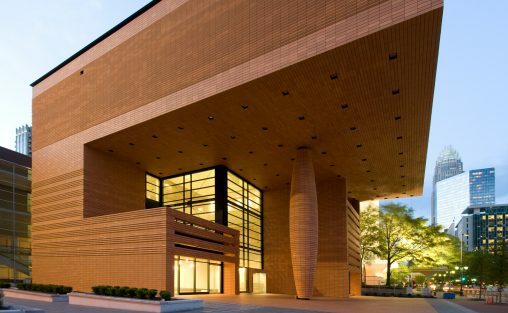 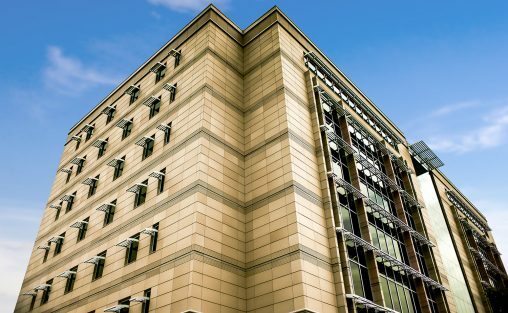 This large government medical facility is clad in a combination of terra cotta and brick. 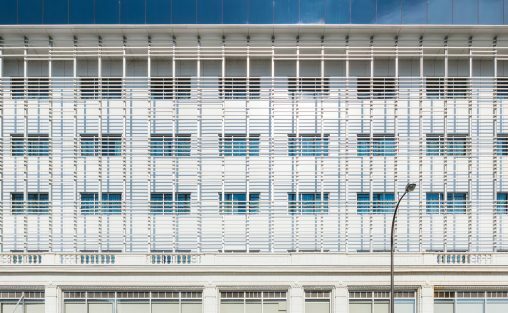 Boston Valley provided 130,000 linear feet of baguettes and louvers as well as 20,000 square feet of panels in two custom colors. 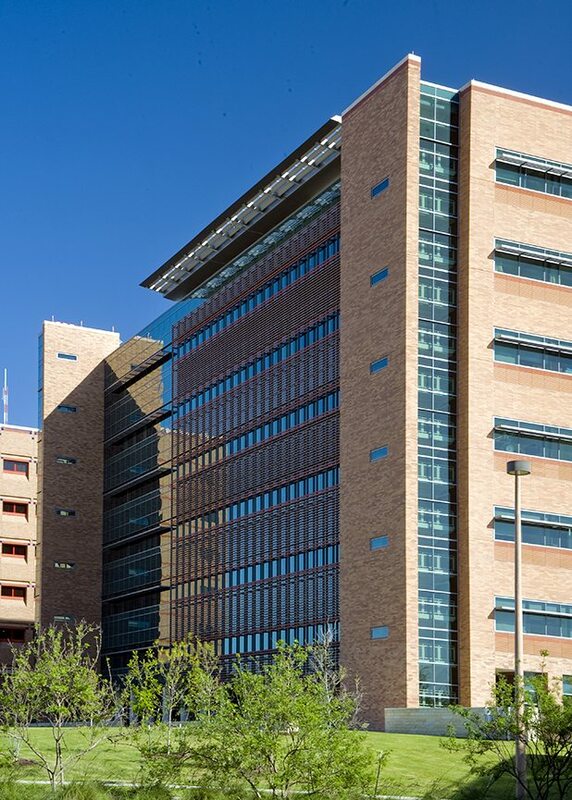 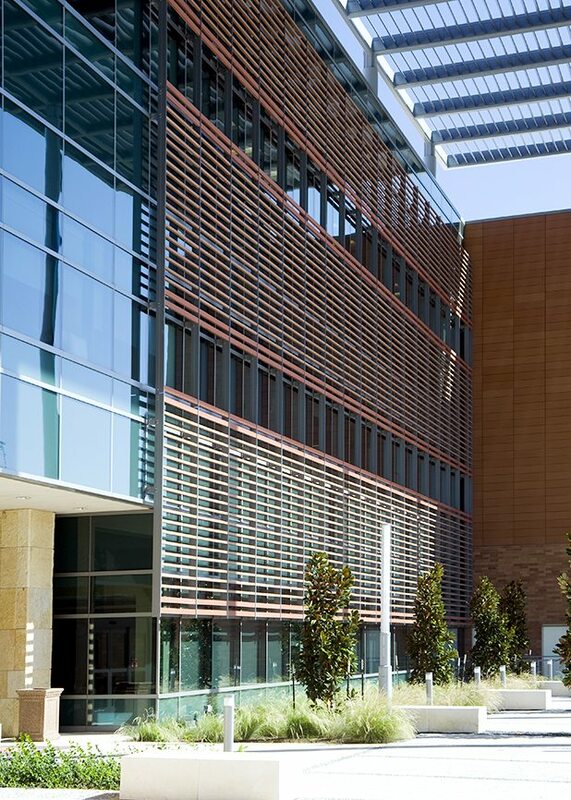 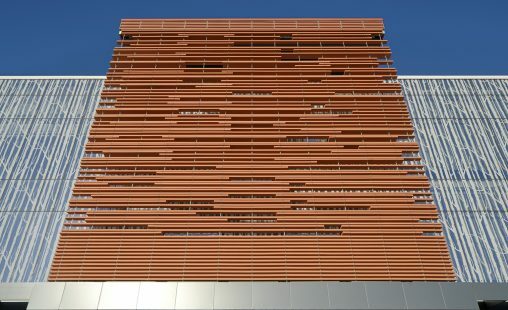 As shown in the photos large expanses of unitized baguettes were installed on the hospital façade as well as the parking garage to provide shade from the intense Texas sun to the occupants.